Mar. 20, 2019: This year’s annual Trée Chic benefit to support the Bereavement Center of Westchester's Tree House program, which offers support, comfort, and guidance for grieving children and their families, promises to be even more glamorous and chic than ever before. Trée Chic on Fifth will be held at the newly renovated and re-imagined SAKS Fifth Avenue flagship store on 5th Avenue. The date is April 4 and it promises to be a night full of fun, fashion, and surprises. Saks fashion experts will be on hand to reinterpret the latest, hottest spring trends for everyday wear and to give personal advice and fashion tips to everyone who attends. 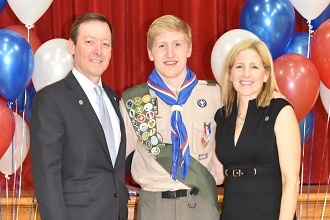 Moving Trée Chic to Saks Fifth Avenue is the brainchild of event chair Betsy Putnam, a BCW Tree House board member and wife of Ian Putnam, executive vice president and chief corporate development officer of the Hudson’s Bay Company, the owner of Saks Fifth Avenue. 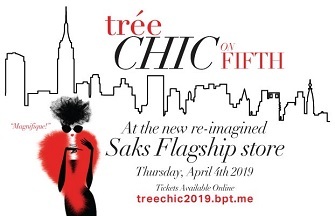 Trée Chic on Fifth will be held on April 4 from 6:00 to 8:00 pm at Saks Fifth Avenue. Tickets start at $100 (30 & under) and can be purchased online or by calling BCW Tree House at 914-787-5001. Go to BCWTreehouse.org to find out more about the Tree House program.